It’s that most wonderful time of the day again when you get the opportunity to make some excellent technology-based purchases without having to pay full price. As is always the case, browse the curated deals, find something that you are interested in, and make sure to act quickly before the deal ends or stock is gone. 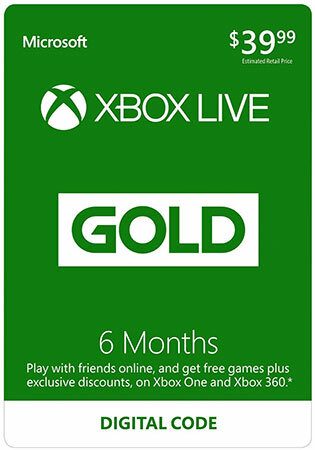 Starting off, we are looking at a brilliant little deal on an Xbox Live Gold membership which comes with free digital download of Rainbow Six Siege. Next up is a 5-port fast USB wall charger for $19, followed by a beautiful iPhone 8 Plus case for just $4. 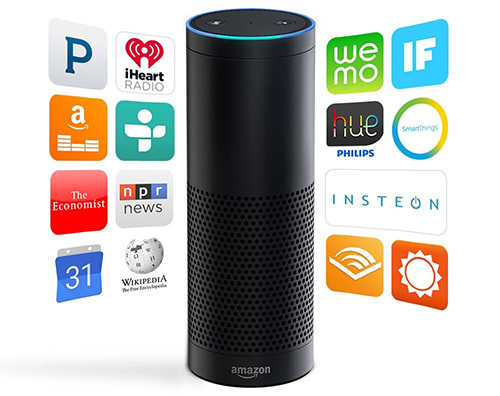 Last but not the least is the 1st gen. Amazon Echo for $90 only. As always, make sure you act quickly to grab the product of your choice from the list here as these deals are usually time sensitive and subject to stock levels. Enjoy the savings! 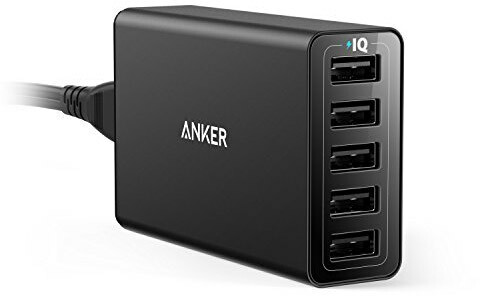 This multi-port charger from Anker can help get that power pumped into your connected devices as quickly as possible and in many devices at a time. This model comes with 5 USB ports, as well as intelligent built-in technology to get the most efficient power delivery to the device, whatever it is. Video games consoles are extremely fun and popular, but they really come into their own when you take everything online and play with people from all over the world. That’s where Xbox Live comes in. In order to access that you will need this 6-month digital code which will get you on immediately for half a year all with a single one-off payment and no additional hidden charges. 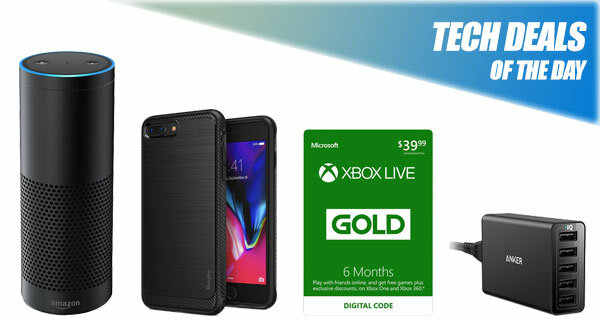 Best of all, with this deal, you are going to get free digital download copy of Rainbow Six Siege for Xbox One when you buy Xbox Live Gold 6 months subscription! For those of you who have purchased one of Apple’s iPhone 8 Plus handsets, let us introduce you to the reduced-priced case that you will need to look after and protect your device with. 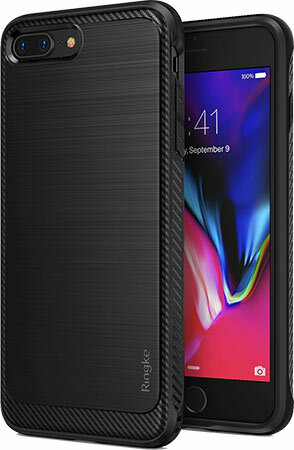 Once you wrap this around your iPhone 8 Plus, you can be confident that it isn’t going to suffer dents and scratches when in your pocket, and that the exterior will be as beautiful as when you first purchased it. Best of all, you can grab the case for a mere $4 using the following promo code at checkout: 4PJQYCJP. Amazon may have introduced the second-generation Echo, which is a little bit smaller than the first in size, but that doesn’t stop you from getting the original powerhouse as part of a certified refurbished deal. This gorgeous piece of kit will give you a powerful Bluetooth speaker experience, access to Alexa for intelligent voice services, and even the chance to control certain home automation accessories through voice commands.